Arthur Murosky photographed in 1924. Arthur would have been 4 or 5 years old in the photograph. The photograph was likely taken in Erie, Erie County, Pennsylvania. Arthur was the son of Helen Tillie Bukowski and Anthony Harry Murosky, Jr. 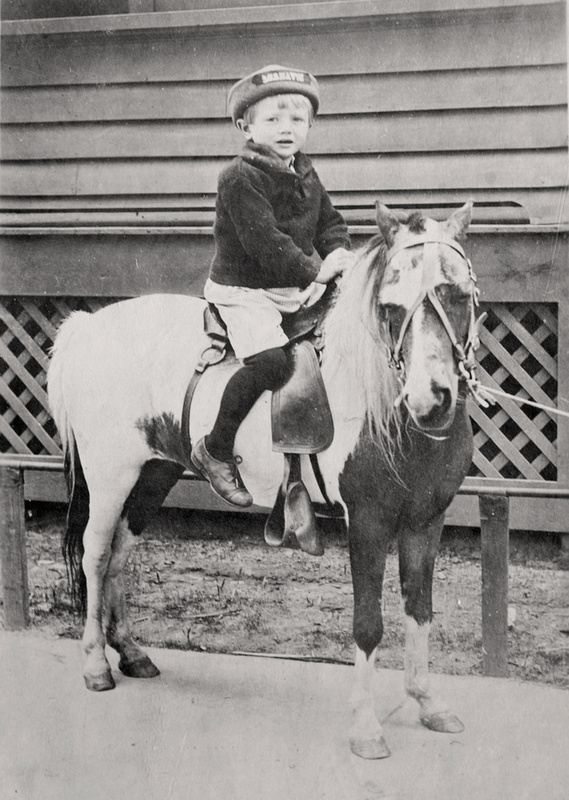 There are other photographs of Arthur Murosky taken the same day in the Helen Tillie Bukowski Collection. Helen had recorded the date on those photographs as 1924. From the Helen Tillie Bukowski Collection. Helen recorded the names, date and location on the photograph. Photographer Unknown. Editing and digital restoration by Michelle M. Murosky. Anthony Harry Murosky, Jr. and Helen Tillie Bukowski are my great grandparents. Their son Arthur Murosky is my paternal grandfather.